Our 30th birthday photo booth kit is a great way to celebrate in style and create memorable photos with family and friends! The kit contains lots of fun different props, which include a hat, spotty bow tie, '30' and lots more! 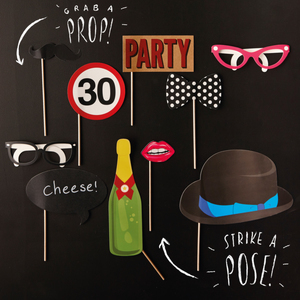 10 photo booth props per pack.